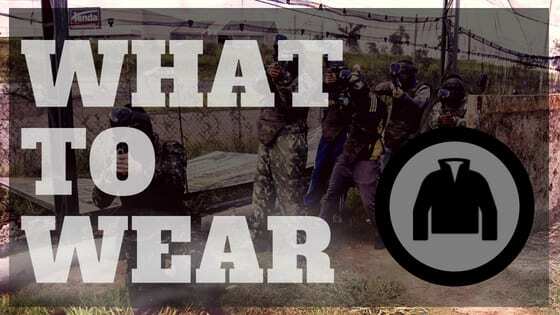 So you are going to go play paintball but you have no clue as to what you should wear, and you’ve asked around and everyone seems to be in the same boat you are. Basic Rule: Wear your THICK/HEAVY/FIRMER layers on the outside, and your softer layers underneath. In remembrance of my first time paintballing with my church group, which just so happened to be the day I got hooked on paintball, I can recall a couple of mistakes some of my peers made in what they played in. You wear clothes you do not want to get ruined! When choosing what to wear you should automatically assume that whatever you wear will get ruined. You wear too little! I only know a couple of people that could handle playing paintball in shorts and a t-shirt, and they are all die-hard tough-guy paintballers. You know, the ones that like to show off their massive paintball welts and call everyone else a wimp for wearing extra layers. Simply put, if you want your first day to be as enjoyable and welt free as possible, wear a couple of extra layers. Loose jeans with padded sliding/compression shorts underneath are about all you will need. You want the paintball to break on you, because bounces happen to hurt far more than breaks. You wear sweatpants! Sweatpants are a terrible idea. Unless you have thighs of steel your legs will absorb the impact of every paintball that hits you and painfully bounce off, which ultimately means you will get shot again and again until a paintball breaks. Now, there’s nothing really wrong with sweatshirts, and in fact I recommend them because the hood offers great protection for your neck. Throw on some under armor underneath and your set. If you don’t have anything you can wear to play paintball in, you can always rent coveralls at your paintball field. They are plenty thick and great to play in for you first time, just be sure to call in advance to check if they rent them out. If you stick to the above guidelines then you should be good to go for a great day of paintball. Above all else, never wear a funny costume to play paintball in – unless you want to get shot a lot – it incites attention and everyone will be gunning for you. Well, I mean… you can if you really want to. Some people certainly do, and if that’s your thing then go for it! 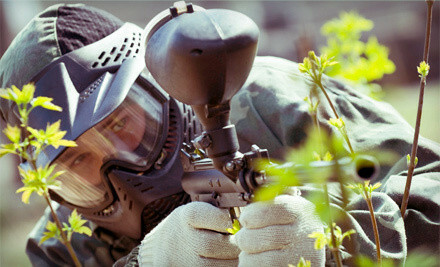 Think paintball might be too painful for you? A popular way to take off some of the edge is to invest a couple of bucks into a chest protector to wear underneath your clothing. Many fields offer them complimentary, while others have you pay for it. It’s not necessary, but if you have a low pain tolerance then it’s worth a shot. This game is an adrenaline rush above all else, and most of the time getting hit by a ball is more of a surprise than anything else. Your adrenaline will be pumping and there is a good chance it won’t be as bad as you expected. The best way to get rid of the jitters is to take a hit early on in the first match. After that it’s game on and you will be running into the firefight like a true action hero.